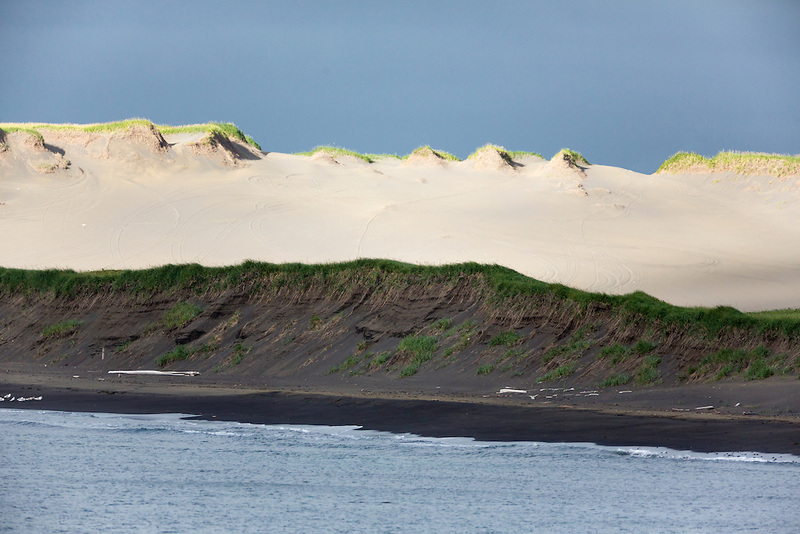 Sunlight illuminates the dunes along the coast of St. Paul Island in Southwest Alaska. Summer. Morning.